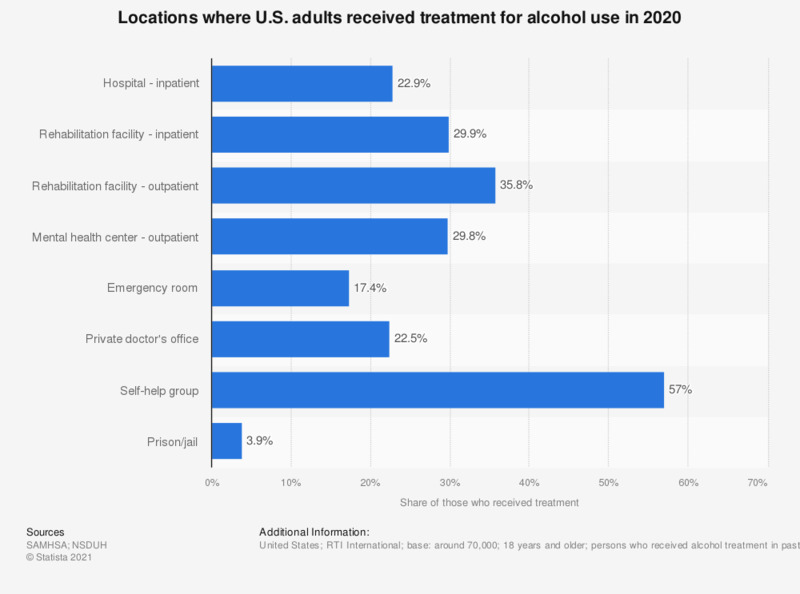 This survey shows the locations where people in the U.S. received treatment for alcohol use in 2017. It was found that 60 percent of those who received treatment for alcohol use did so through a self-help group. Received Alcohol Treatment refers to treatment received in order to reduce or stop alcohol use, or for medical problems associated with alcohol use. It includes treatment received at any location, such as a hospital (inpatient), rehabilitation facility (inpatient or outpatient), mental health center, emergency room, private doctor's office, self-help group, or prison/jail. Respondents could indicate multiple locations of treatment; thus, these response categories are not mutually exclusive.